UGC NET Admit Card 2019: The National Testing Agency (NTA) has released the University Grant Commission (UGC) National Eligibility Test (NET) admit card for the June 2019 on its official website ntanet.nic.in on May 15, 2019. 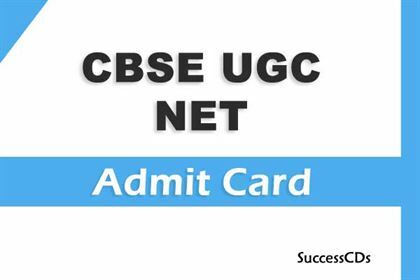 UGC NET Admit Card 2019 will be issued to candidates, who have registered themselves for the NTA NET 2019 exam to be held from June 20 to 28, 2019. NTA NET Hall Ticket / Admit Card can be downloaded through the official website, ntanet.nic.in. Check all details printed on the admit card. In case of any discrepancy in the particulars of the candidate including photograph and signature shown in the Admit Card and Confirmation Page, the candidate may immediately approach the Help Line between 10:00 a.m. to 5:00 p.m. between 19.11.2018 to 25.11.2018. In such cases, candidates would appear in the examination with the already downloaded Admit Card. However, NTA will take necessary action to make correction in the record later,' reads the official update. UGC NET 2019 will be held in 5 consecutive days (June 20 - 28, 2019) in online mode in two shifts?first shift is from 9:30 am to 1:00 pm and second shift from 2:30 pm to 6:00 pm.